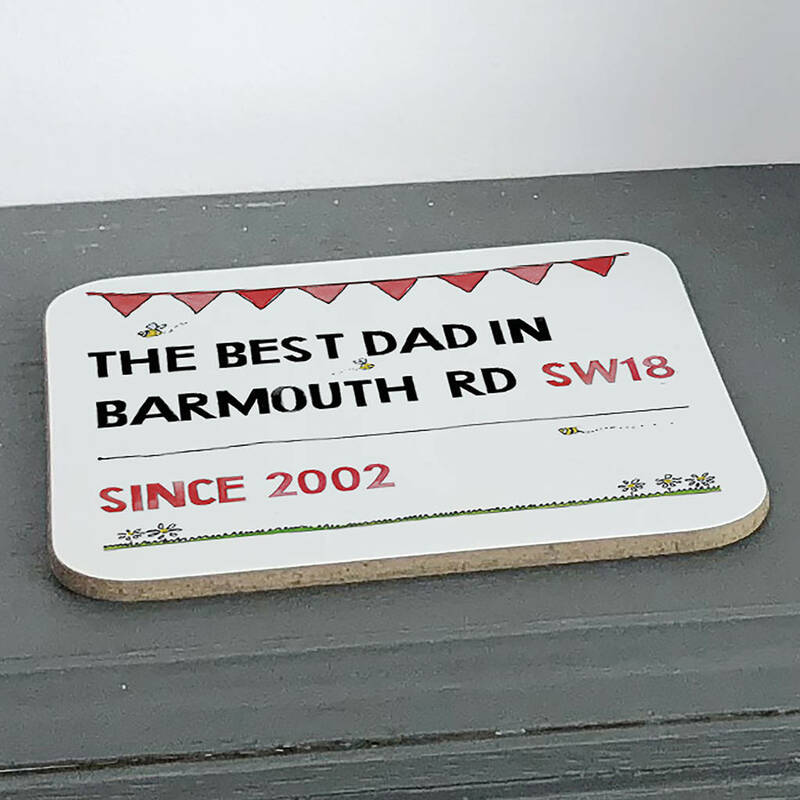 Your Dad will love this fun, personalised coaster as a Father's Day gift. Sure to be the perfect addition to any desk, this personalised coaster is decorated with a bold, traditional street sign inspired design, complete with a Nessie twist. A thoughtful gift suitable for anyone's budget. You do not have to put an address at the top, you can personalise it however you wish. 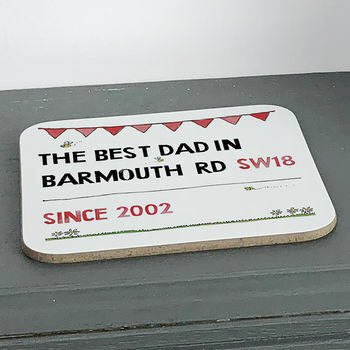 • Tell us the Street Name/text you would like to appear on your coaster - this will appear in large black text at the top. Check out our other street sign-inspired gifts for more creative ideas!